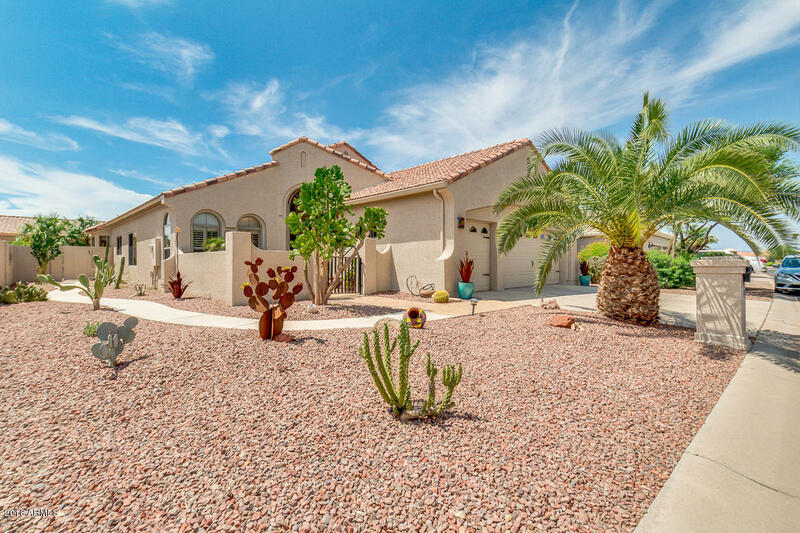 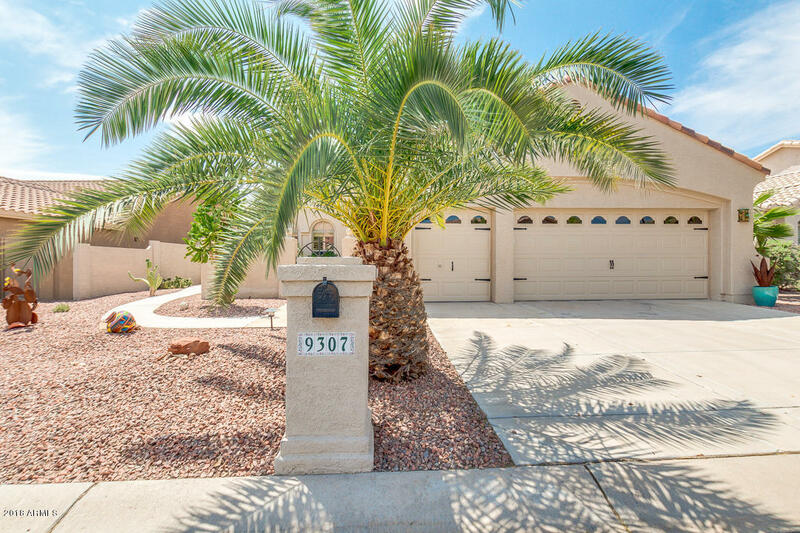 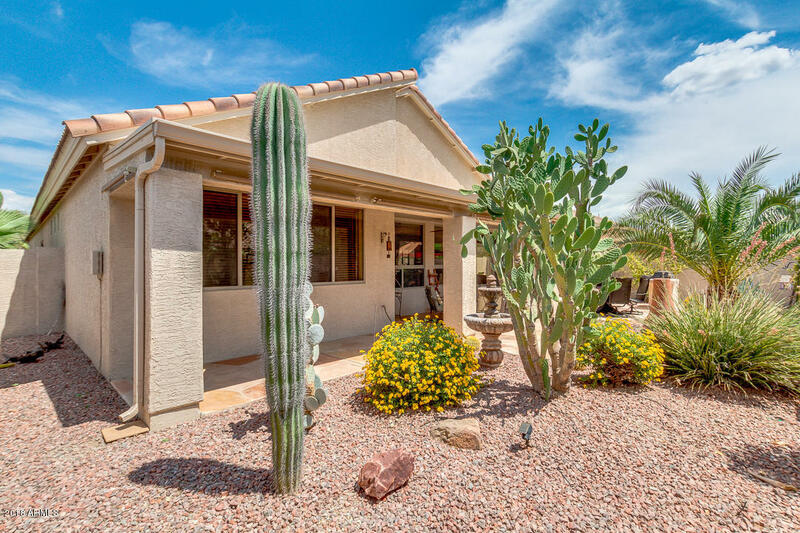 Great opportunity for a move in ready home in Sun Lakes! 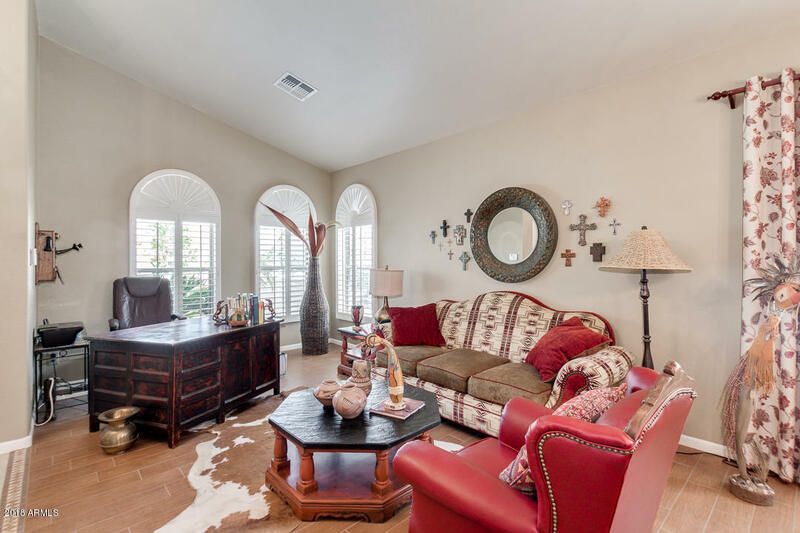 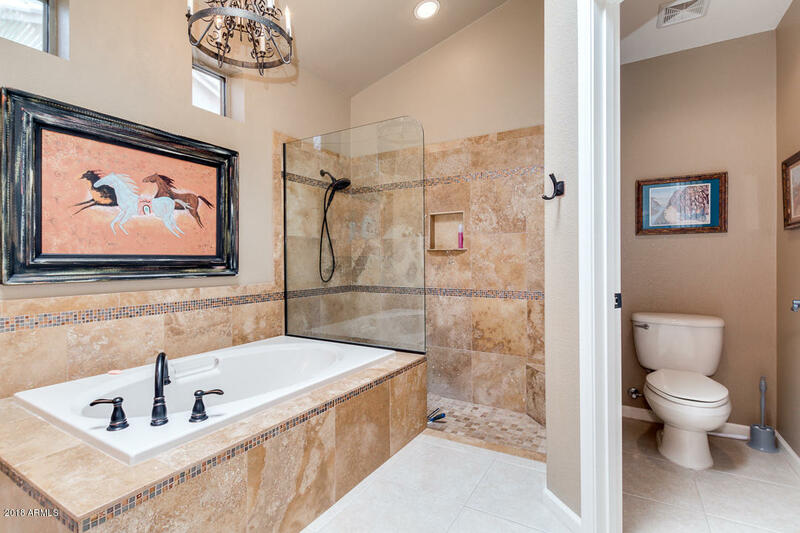 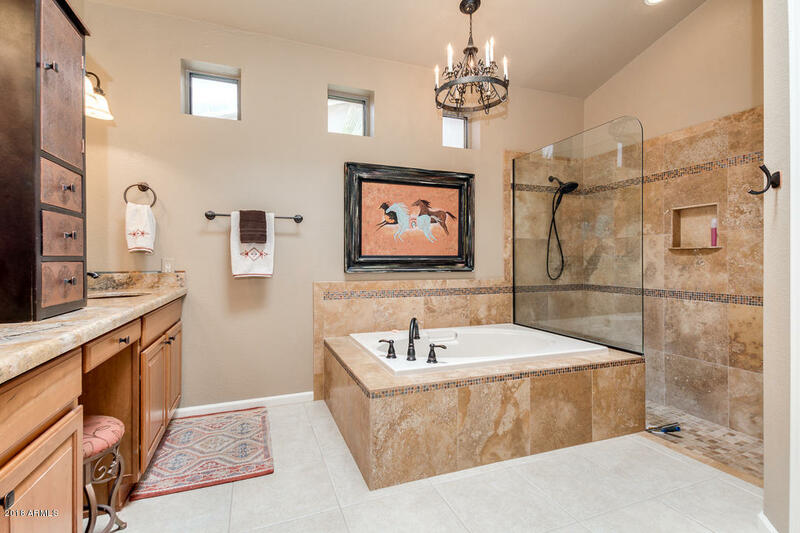 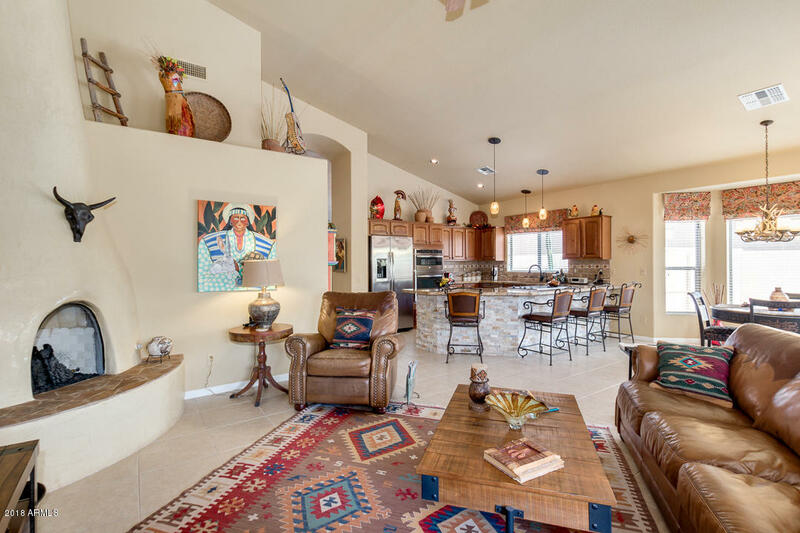 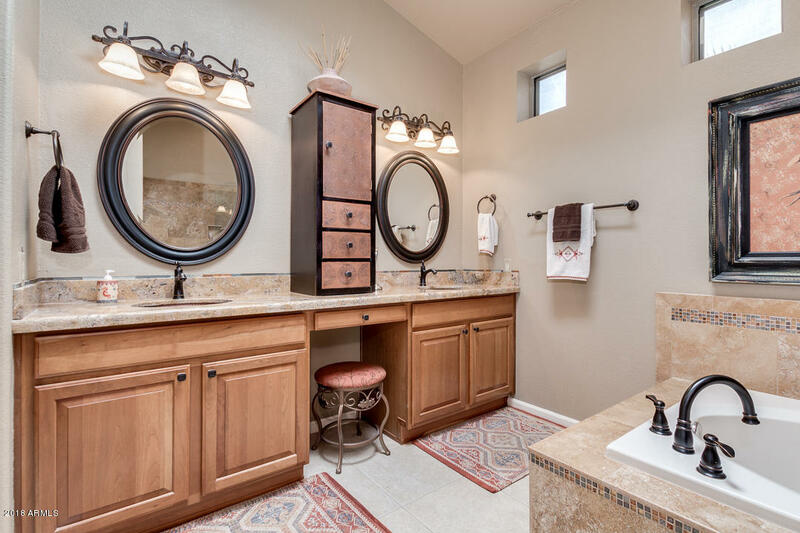 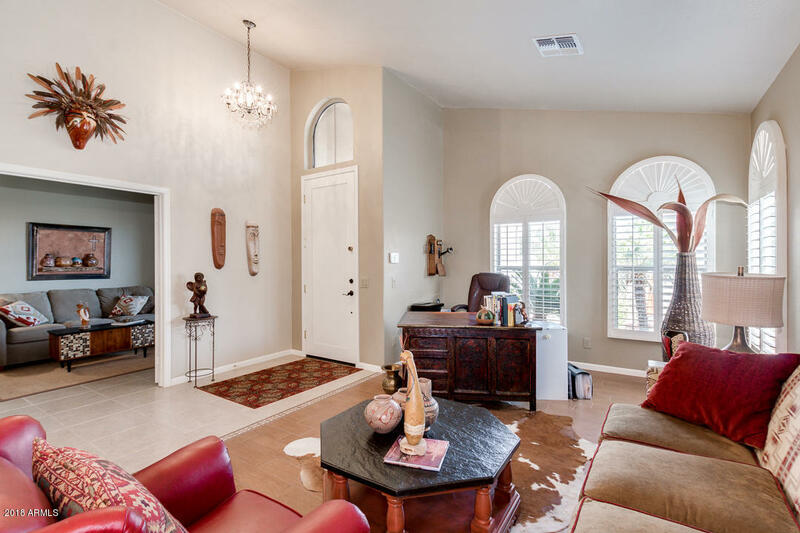 Beautifully finished with decorator touches throughout. 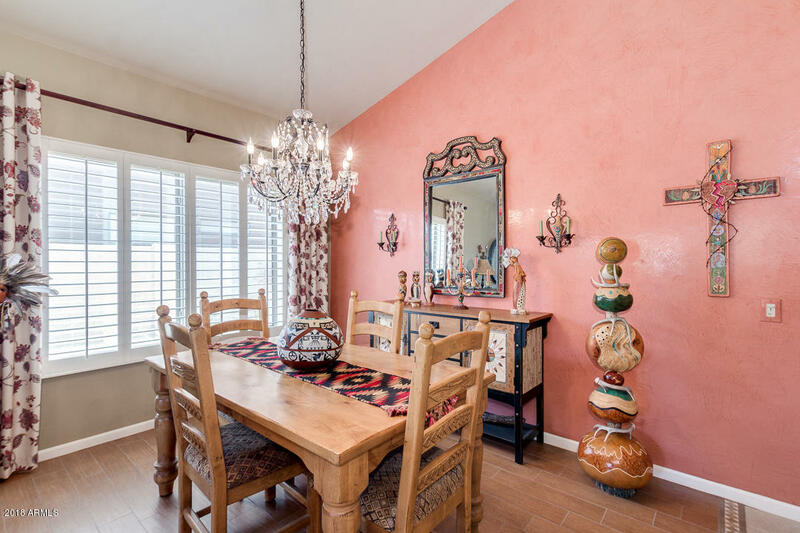 Living and dining room designed for today's casual lifestyle. 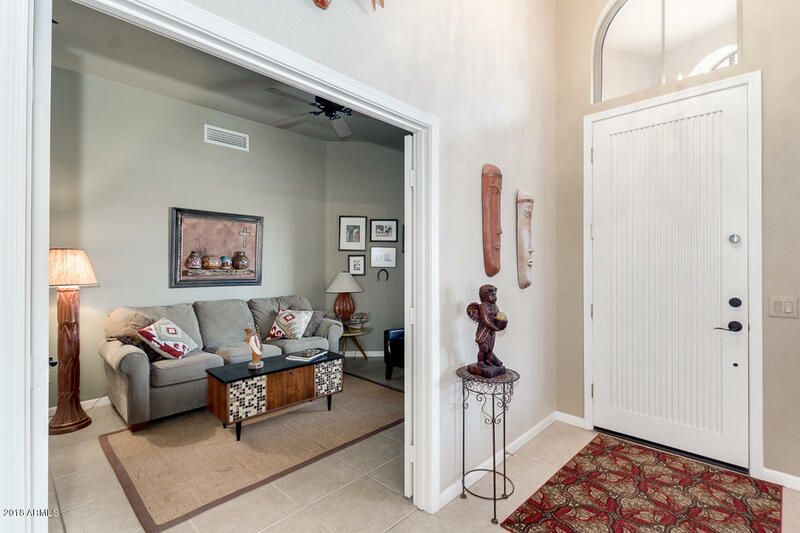 Double door office is perfect for an extra TV room. 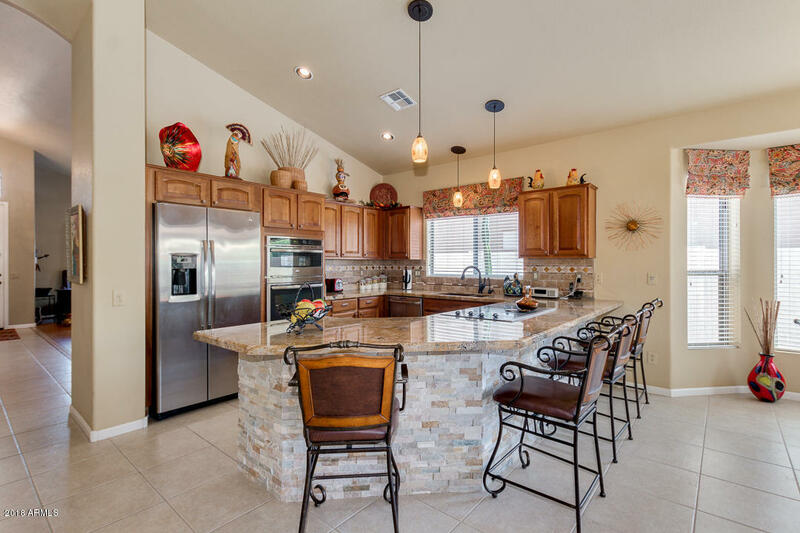 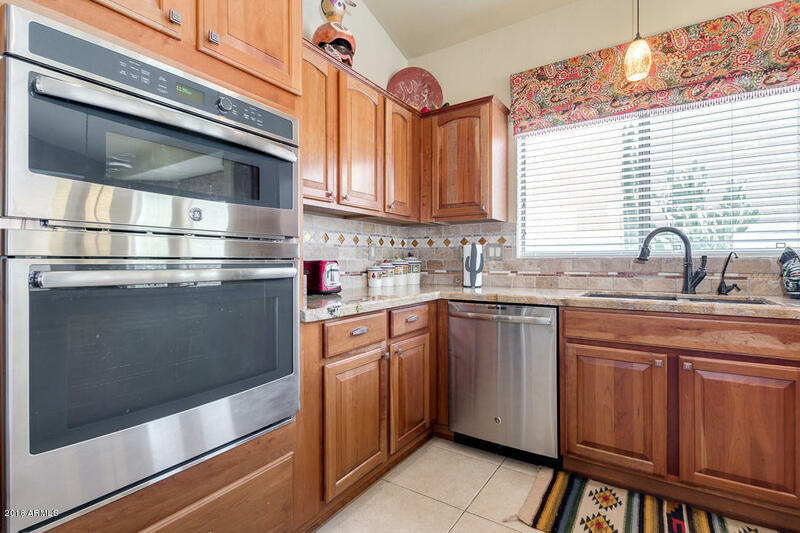 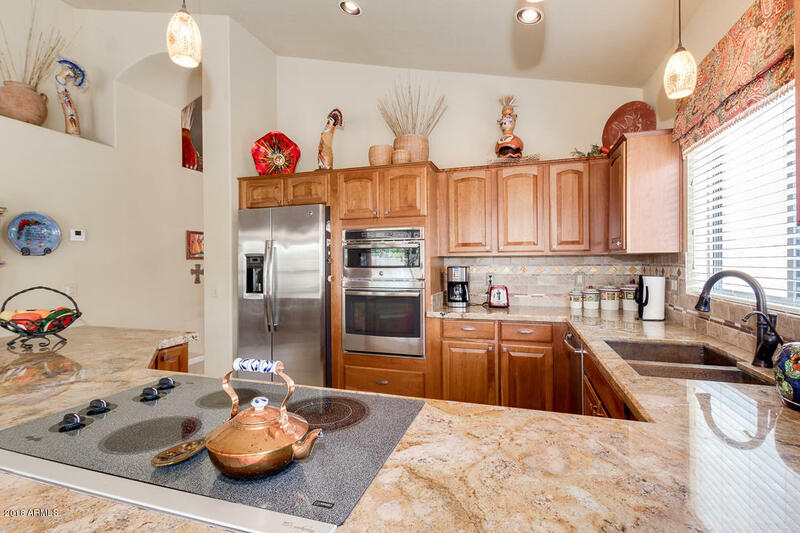 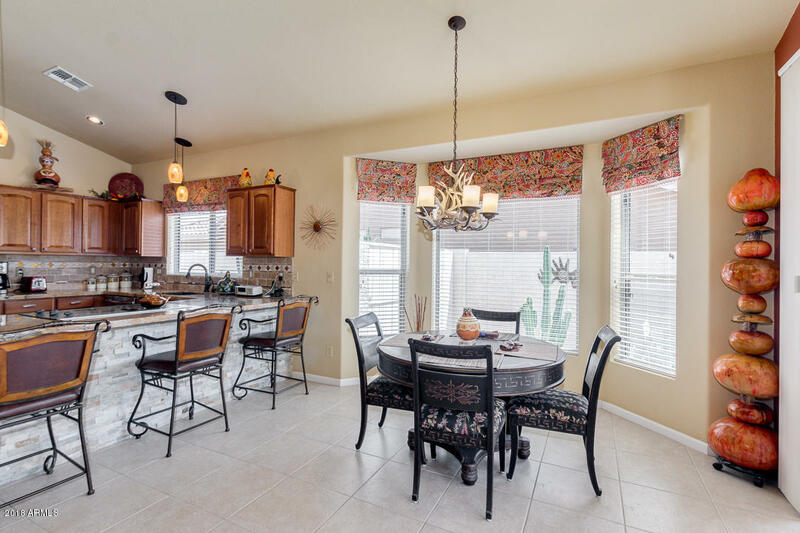 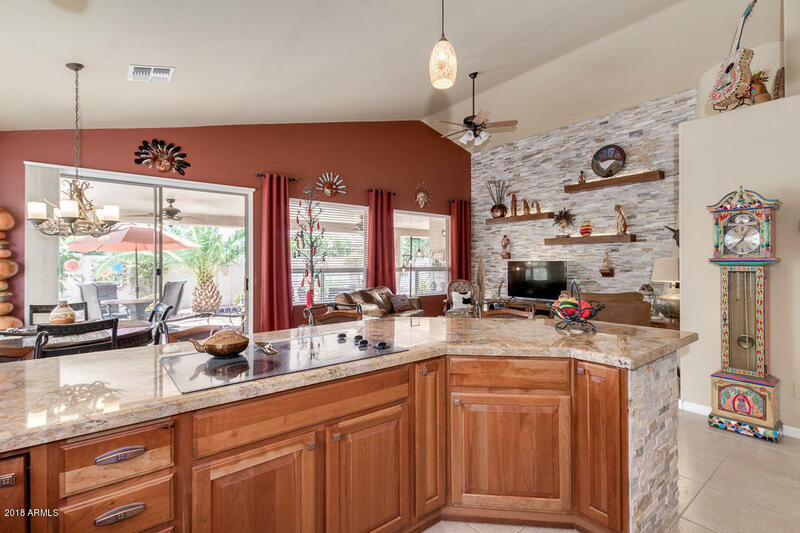 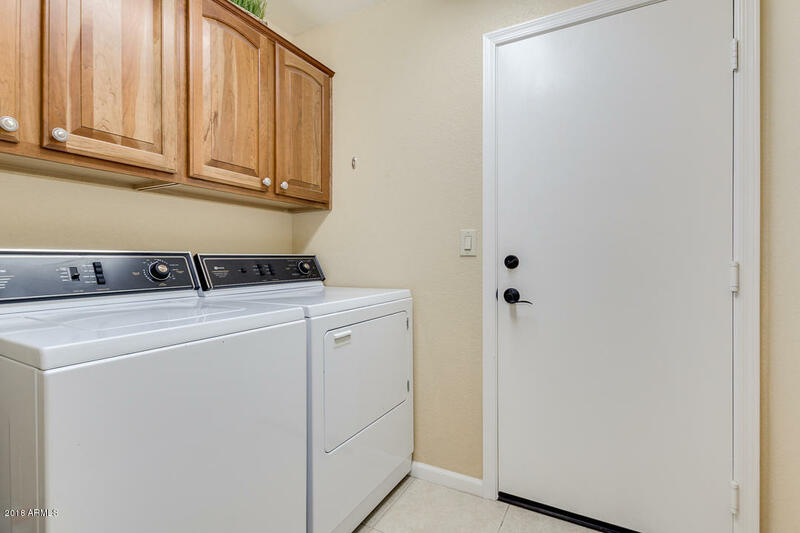 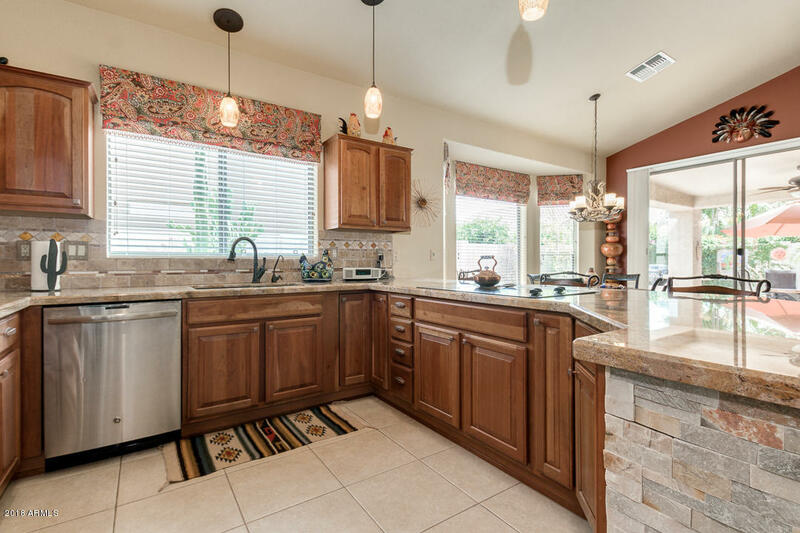 Kitchen features upgraded cabinets, stainless steel appliances and granite countertops. 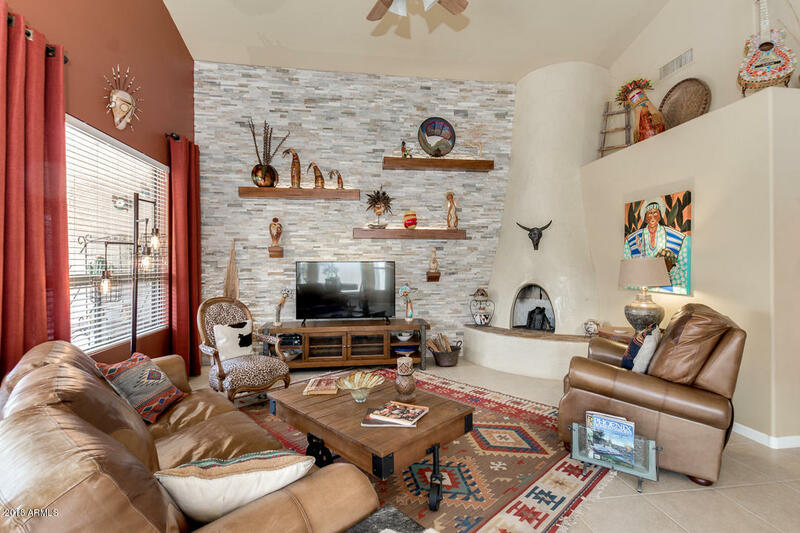 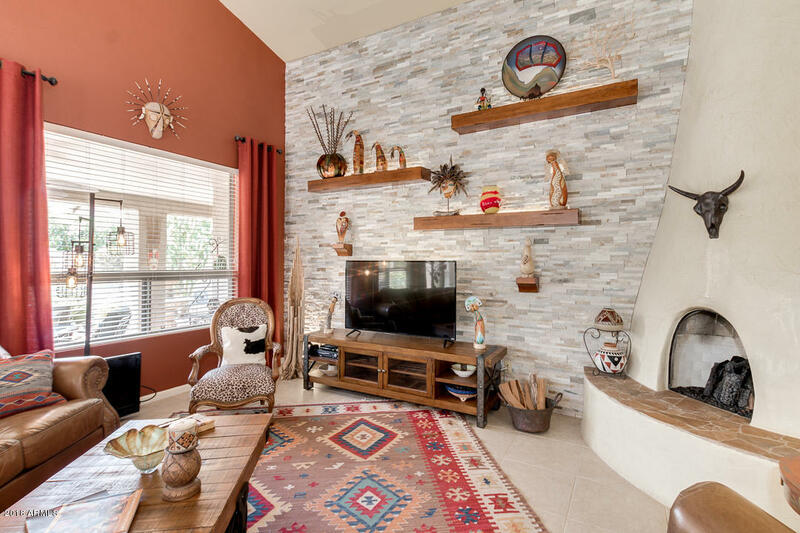 Family room stone accent wall with lighting makes for a cozy setting to enjoy the evening. 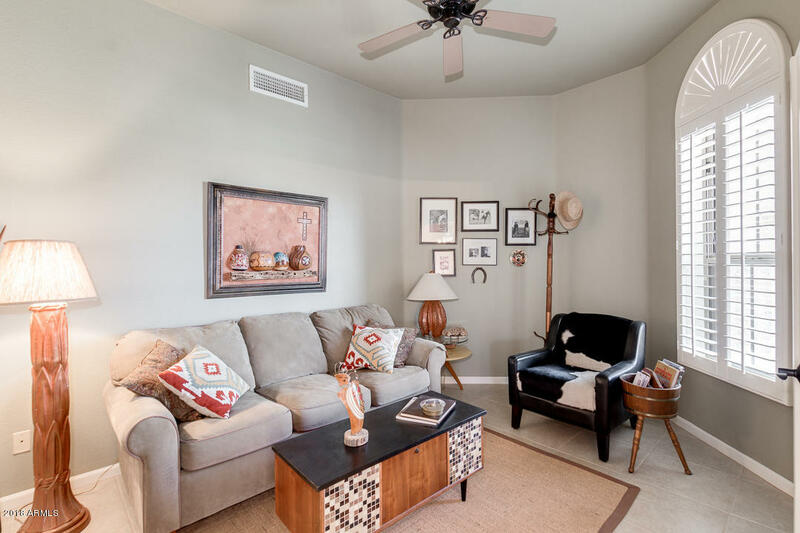 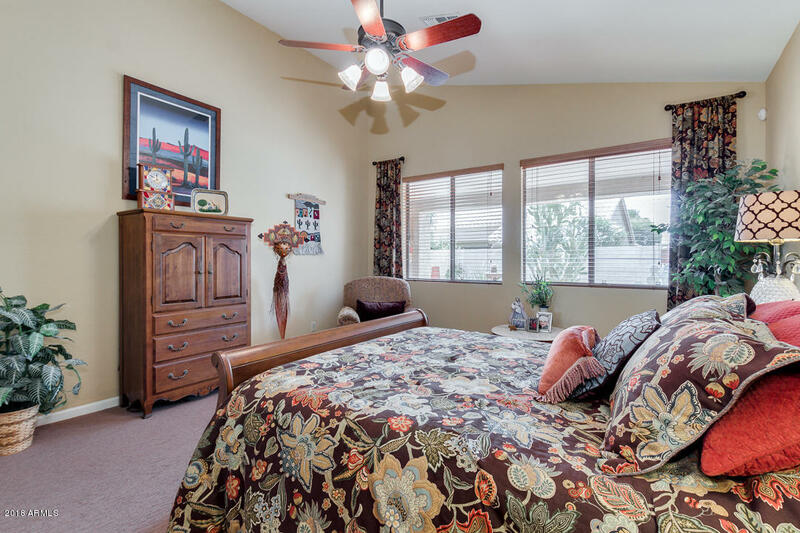 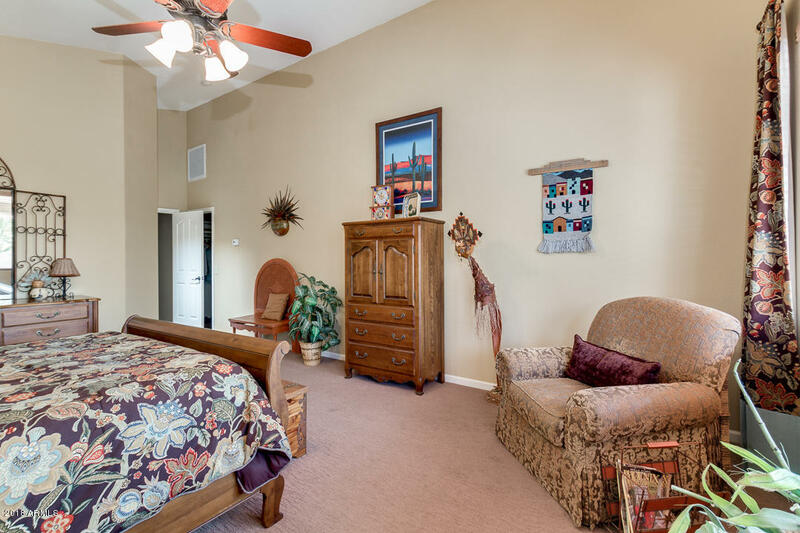 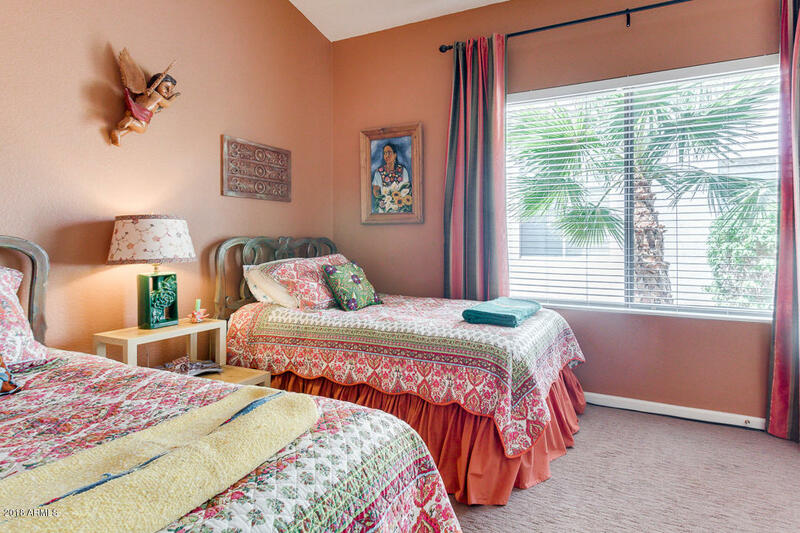 Spacious master bedroom with walk in closet and remodeled master bath. 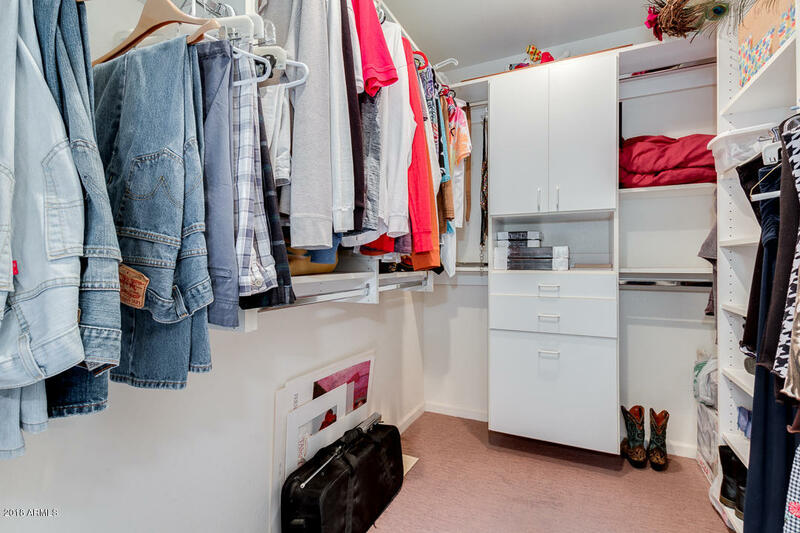 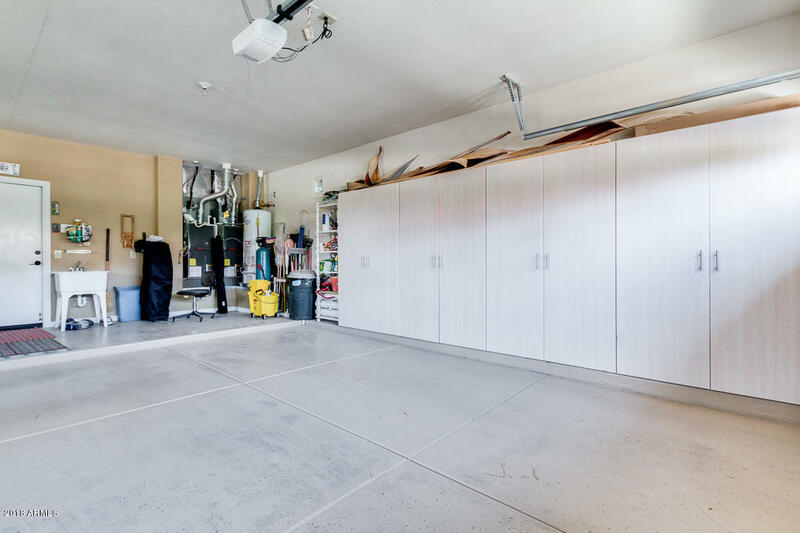 Storage galore in the extended depth 2.5 car garage for the larger vehicles. 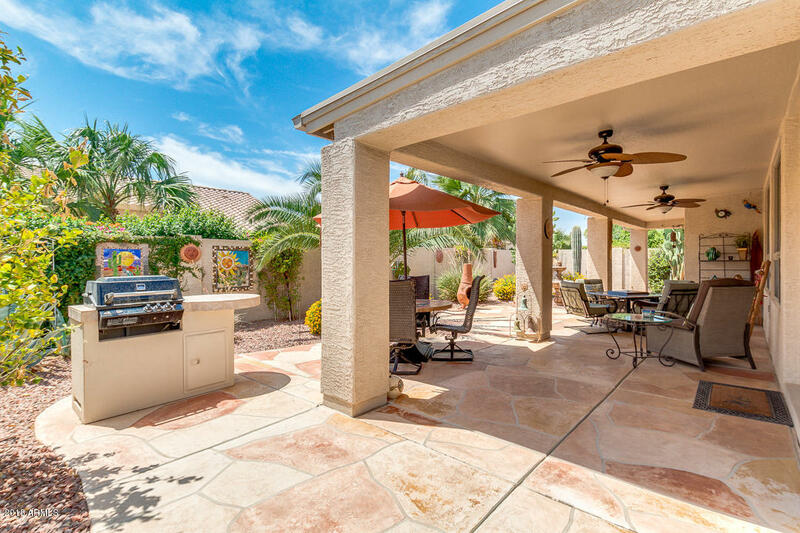 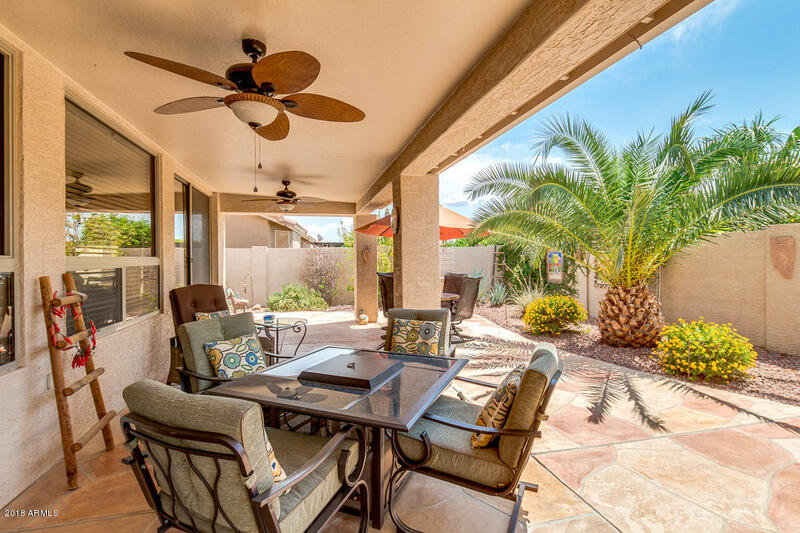 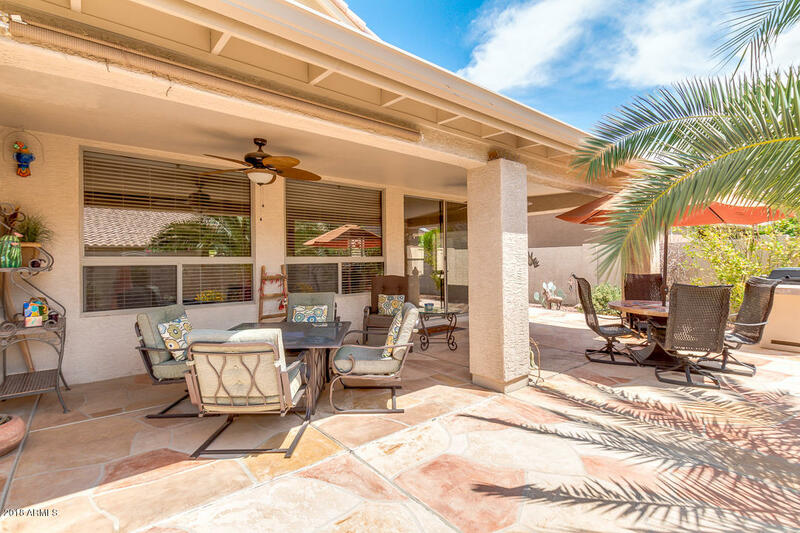 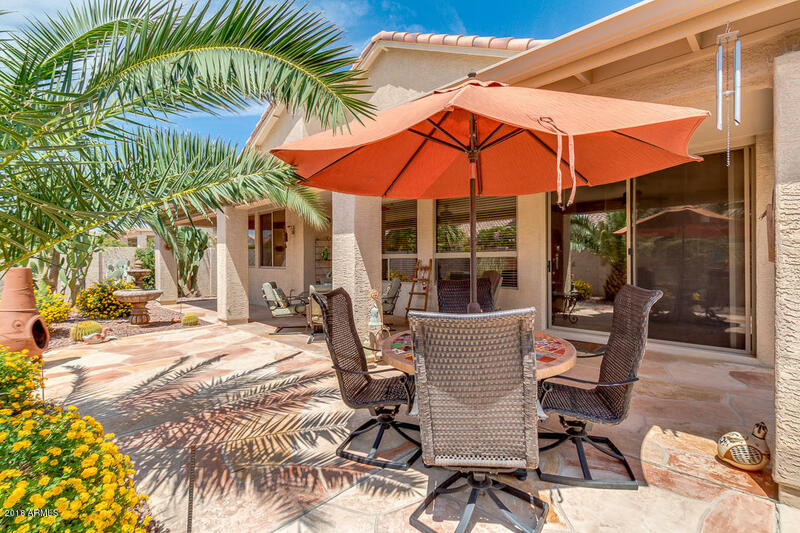 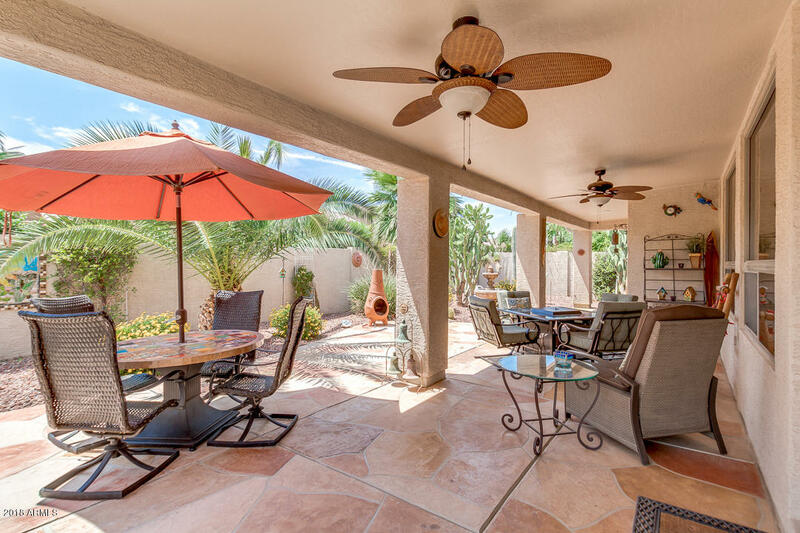 Step onto the sunny south patio built for entertaining. 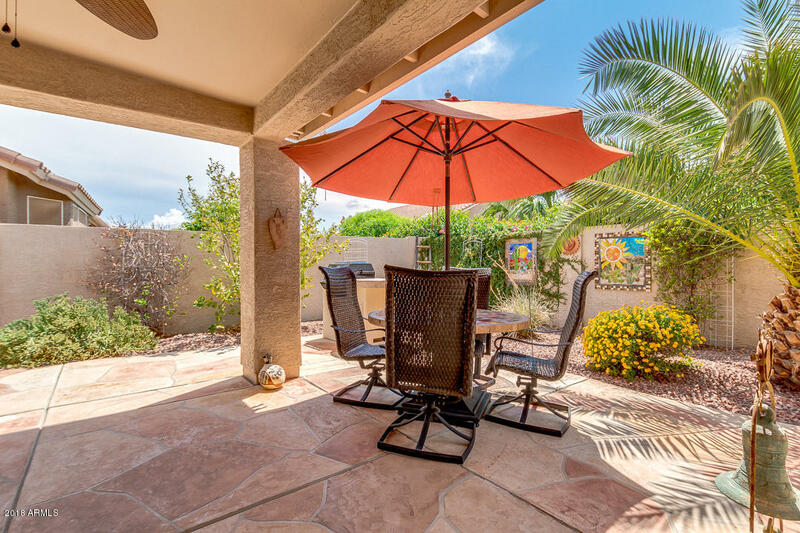 Beautiful easy care landscape creates a serene setting. 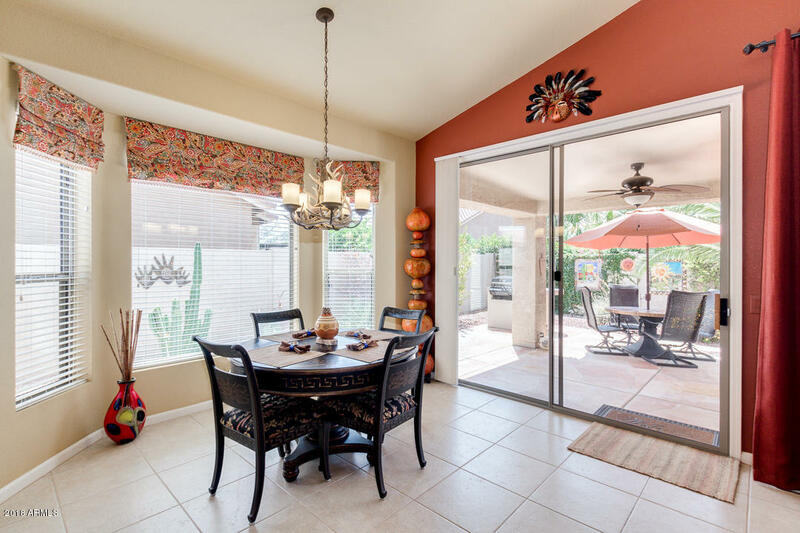 Cute front courtyard with tile walkway and security screen door. 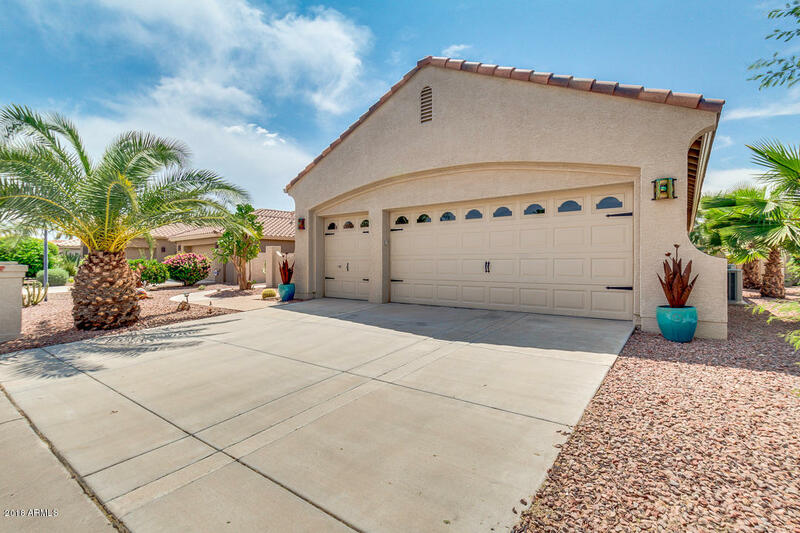 Don't miss this opportunity to have a truly move in ready home!